In the darkest of days, on the path to survival, our moral compass must reconfigure: What is right and what is wrong? Not long after the fall of the Berlin Wall, playwright Doug Wright (Quills, Grey Gardens) began a conversation with Charlotte von Mahlsdorf, an elegant and eccentric 65-year-old German transvestite who, against all odds, survived two of the most oppressive regimes of the 20th century, the Nazis and the Communists. After hundreds of hours of interviews Wright emerged with this fascinating and breathtaking story of survival and identity. In this one man tour de force, Wright uses more than 30 characters—all played here by Ben Gerrard (Molly, Open Slather)—to piece together Charlotte’s controversial life. Winner of the 2004 Pulitzer Prize for Drama and Tony Award for Best Play, I Am My Own Wife is a profound and mesmerizing piece of theatre that should not be missed! After its sell out and critically acclaimed season at the Old Fitz Theatre in Sydney, Oriel Group are bringing I AM MY OWN WIFE to Melbourne for a strictly limited season in the 2017 Midsumma Festival. Oriel Group is an emerging independent production house for Theatre and Film. Established in 2014, Oriel Group was created by Actor Elise McCann to facilitate opportunities for Australian artists and creatives in bringing to life their passion projects. The Robertson Foundation is a family foundation with a strong commitment to developing and supporting the Australian Arts Industry. The Foundation also supports initiatives in education, research and social enterprise. Emptyhead creates custom tailored WordPress websites for Arts Professionals and Small Business. 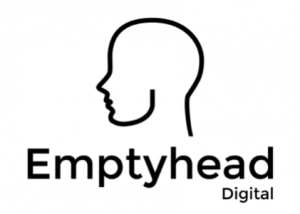 Emptyhead both created and maintain the IAMOW website. 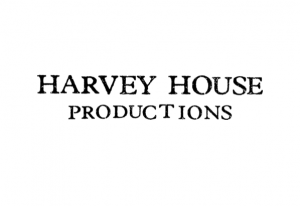 Harvey House Productions are a media production company committed to the still and moving image. They are the Photography/Film Partners of IAMOW having taken our poster and marketing image and created the official IAMOW Trailer. They are proud supporters of the arts. Jeff Van De Zandt is a Graphic Designer, Art Director and Marketing expert. Zandt designed and created the IAMOW poster and flyer.